Anyone know the 2018 dyno names for jms and such? Re: 2018 Dynos Jm Names? Smerwin43 wrote: Anyone know the 2018 dyno names for jms and such? The crf250 and rmz450 are v2018. jlv wrote: The crf250 and rmz450 are v2018. I'm sorry for bringing up a dead thread. A friend of mine and I are both having some trouble out of the 2018 rmz450 dyno. We've both tried rmz450v2018 and rmz450 but neither works. rmz450v2018 shows the skin as available under the 2018 dyno but doesn't load the skin, just shows default. The skin works correctly on any other 450 dyno but the 2018 Suzuki. 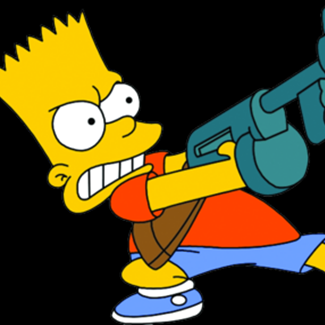 Shanasman450 wrote: I'm sorry for bringing up a dead thread. A friend of mine and I are both having some trouble out of the 2018 rmz450 dyno. We've both tried rmz450v2018 and rmz450 but neither works. rmz450v2018 shows the skin as available under the 2018 dyno but doesn't load the skin, just shows default. The skin works correctly on any other 450 dyno but the 2018 Suzuki. same thing happens to me. I think the dyno might just be broken or something I tried v2013 v2016 and v2018 none of them work. It references the old bikes. but will be on 2016,2017 & 2018 dynos. Hey man. Dean and I both tried 2016. No luck with that. Anyway, I just gave up on it and put the skin on the 2018 yz450f since it feels about like the Suzuki to me. Found you a solution. 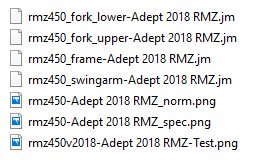 The 2018 RMZ450 is reading skin files from rmz450v2018 and model files from rmz450 (as in the 2011) for some reason. I will accept no less than $1000 cash for finding and this gamebreaking bug and creating an intricate workaround, JLV. The dude, the myth, the legend. Nice, thanks.